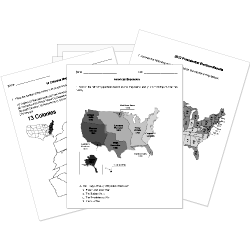 You can create printable tests and worksheets from these Grade 12 American Revolution questions! Select one or more questions using the checkboxes above each question. Then click the add selected questions to a test button before moving to another page. The Boston Tea Party occurred in? why was the First Continental Congress convened? From which country did the United States declare independence? Which was an achievement of the Second Continental Congress? What were the results from Shay's Rebellion? The colonies that did not support the Revolution were called Tories . When did relations between the colonies and England begin to deteriorate? Describe the Boston Tea Party. What were the events that took place prior to Boston Tea Party that spurred the Patriots to rebel against the British crown? Elaborate on at least two events. Answer should include a minimum of 2 paragraphs. What did the king do that weakened the relationship between the colonies and the mother country?